Welcome to a new monthly series, titledÂ What You Should Have Noticed, in which I, Steve Ruiz, attempt to sum up the big and salient stories, articles, and arguments from the last four weeks. The College Art Association held its annual conference this month in Chicago. In addition to the expected crowds of star-eyed interviewees, hoping for that holy grail of decent employment in line with their education, qualification, and experience (but ready accept whatever is available), the conference saw several important speeches, such as Jessica Stockholder’s keynote address, a bewildering array of simultaneous workshops, presentations, and poster-board sessions. Highlights include The Myth of Participation and the Growing Realities of Critical Exchange, which you can read about in Tara Plath’s review at The Seen; andÂ Exhibiting Socially Engaged Art: A Chicago Case Study, mentioned in aÂ write up by Jason Foumberg for Artforum. You can also review the conference’s awards here. The children of Chicago’s elites will have a new place to learn about theater, music, and the visual arts, as cultural power-couple George Lucas and Mellody Hobson plan to donate $25 million to the University of Chicago’s Laboratory School. This last bump completes the funding process for the Gordon Parks Arts Hall, named for photographer and director Gordon Parks. (The couple also plans to donate an equal amount to Chicago’s After School Matters, easing this author’s class concerns.) You can read the tribune article here, or the school’s press releaseÂ for more. For buzz, check outÂ the artist’s renderings for the new building, which (tragically? neatly?) blend steel and glass with the Lab school’s existing neo-gothic limestone. The art dealer Hudson, director of Feature, Inc., suddenly passed away this month at the age of 63. The gallery has held many ties with Chicago’s art community since its founding in 1984; it currentlyÂ represents Richard Rezac, Todd Chilton, and Nathaniel Robinson. Hudson is remembered in an article writtenÂ here, in GalleristNY, as well as in the New York Times,Â Artspace, and Art in America. In 1971, Seth Siegelaub drafted a contract for artists with provisions to protect their financial interests and intellectual rights. The contract was as much a conceptual gesture as a piece of legal writing, and the Artist’s Contract went on to join the canon of art-documents from the 20th century’s most heated decades. Ever since, any conversation about art and law has included the subject of theÂ droit de suite, or an artist’s rights to the profits from the resale of their works – particularly at auction, where prices can soar far beyond what an artist made from an initial private or gallery sale. This month, US Senators Tammy Baldwin (D-WI) and Ed Markey (D-MA) joined with representative Jerrold Nadler (D-NY) to draft and introduce The American Royalties, Too (ART) Act of 2014, a bill designed to guarantee artist’s a 7% royalty on works sold at auction for more than $10,000. You can read Hyperallergic’s coverage here. Of course, the main activity this month has been related to the Whitney Biennial. While we still have a few days before the Whitney opens for private and public view on March 7th, the rumble of rumor and whisper has already been rising for weeks here in Chicago. Most recently, the New York Times has published its 2014Â Guide to the Whitney Biennial, as well as featuring Anthony Elms in the article,Â Choose the Artists, Ignore the Critics. 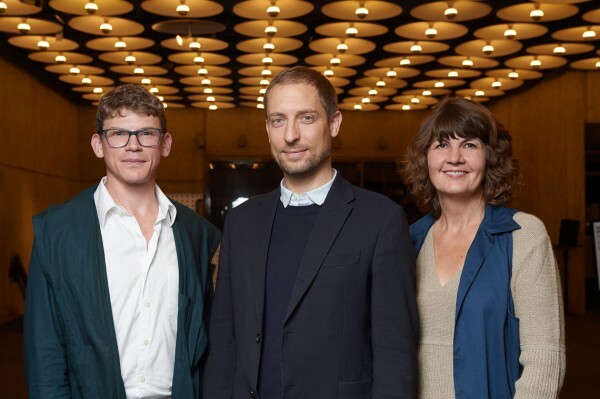 Meanwhile, Artnet discusses the Biennial with Elms and Michelle Grabner, in their article,Â Curating the Whitney Biennial is Not a Fair and Equitable Process. The local conversation is all about Chicago’sÂ seventeen artistsÂ represented in the sprawling exhibition – Elijah Burgher! Carol Jackson! Marc Fischer! Dawood Bay! Catherine Sullivan! Pedro VÃ©lez! – and the effect such an exhibition may have on our fair city’s art scene. We’ll check back next month to see how much of a coup this all actually turned out to be. And that’s all from me, and for February. I’ll keep a closer ear to the ground next month, and you can be sure if there’s something worth noticing, I’ll take care to share it here. Steve Ruiz is an artist and writer living in Chicago. 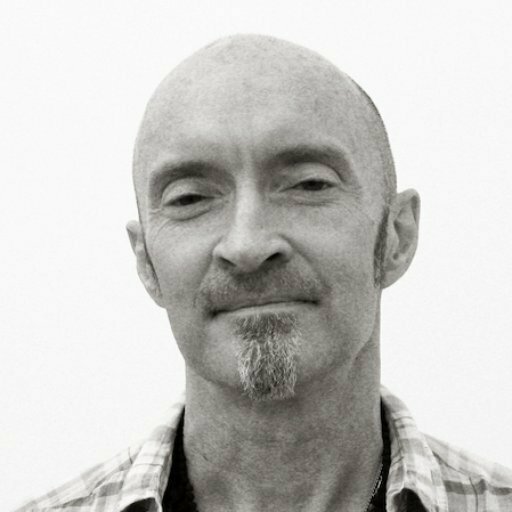 He received his MFA from The University of Chicago in 2013, currently writes for Daily Serving, and administratesÂ the Chicago visual arts calendar, The Visualist. Steve Ruiz is an artist and writer from Chicago, IL. He currently writes for Daily Serving, Bad at Sports, and manages the calendar website The Visualist.